Volumise, lengthen and define lashes with our innovative colour building mascara. Containing an active derived from Walnut, which acts as a natural dye extract, Masquara Gain's jet black formula gently and progressively tints lashes to provide improved colour intensity after just 2 weeks, even when lashes are bare. The spear shaped wand also ensures each and every coat of Masquara is applied clump free with no flaking. 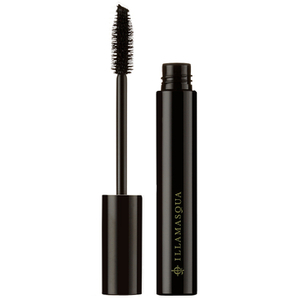 I was recomended this mascara for my lower lashes as i have lash extentions in my upper lashes and I wanted to tint my lower lashes. I found the brush far too big for the delicate job of applying mascara to my lower lashes, causing me to get the mascara on my skin. I also found the brush did hold far too much mascara and became clogged this was within the first week I have only had it 2 weeks!!! The strong black colour is lovely though. I'm not sure if I would buy this again!! Amazing product, was bought this as a gift last Christmas loved it so much it’s what both my sister and I use all the time and buy as gifts for each other.